How many calories do squats burn? To answer this question, you need to know about squat first. Squat is one of many basic exercises people usually do during their exercise sessions. There is no special equipment needed for it. But, it is known for being able to help us increase overall strength, flexibility, and balance. Squats are good to help us burn calories as well. To find out its effectiveness, we can actually make some calculation. Knowing the result can help to monitor your improvement when you stick to weight loss plan too. Yes, there is particular formula you will need to use to calculate calories burned from squats. There are three things you will need to do the calculation. They are your body weight, the minutes spent for exercising, and the intensity level of your squats. For you to know too, this very intensity is better known as MET value. To be exact, it refers to Metabolic Equivalent value. The value should be about 3.5 if you squat with light to moderate level. But, MET can go up to 8 if you do higher level than that. After all, you yourself should be able to feel the difference from one level to another. Basically, the higher the level, the more the effort you will have to put to talk or even breathe. To find out about the calories burned from this exercise, you can use the formula of calorie burned per minute. This formula is .0175 x MET x weight in kilograms. It should be enough to get the answer you seek. Give it a try to calculate your burned calorie. You might be able to stick to your diet plan by doing so. You might still not fully understand from finding out the formula only. So, let’s give it an example here. That way, you should be able to do the calculation yourself later. After all, different case must have ended with different result. Let’s suppose your weight is 75 kilograms. If it is from pounds, you can divide your weight by 2.2 to convert it to kilograms. Then, you spend 5 minutes doing squats of high intensity level. How much calories burned are by formula? Let’s give it some calculation here. 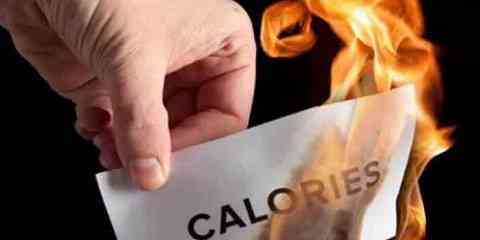 Calories burned/minute can be found out by the formula of .0175 x MET x weight. The MET is 8 in this case since you are doing high intensity squats. The weight is obviously 75 in kilograms. If we put them all into the formula, it should be .0175 x 8 x 75 and it will result in 10.5. Since the calories burned/minute is what we aim here, multiply 10.5 with 5 which is the number of minutes exercised. The end result of the calories burned in this case should be 52.5/minute. This is how you do burned calories calculation from squats yourself.